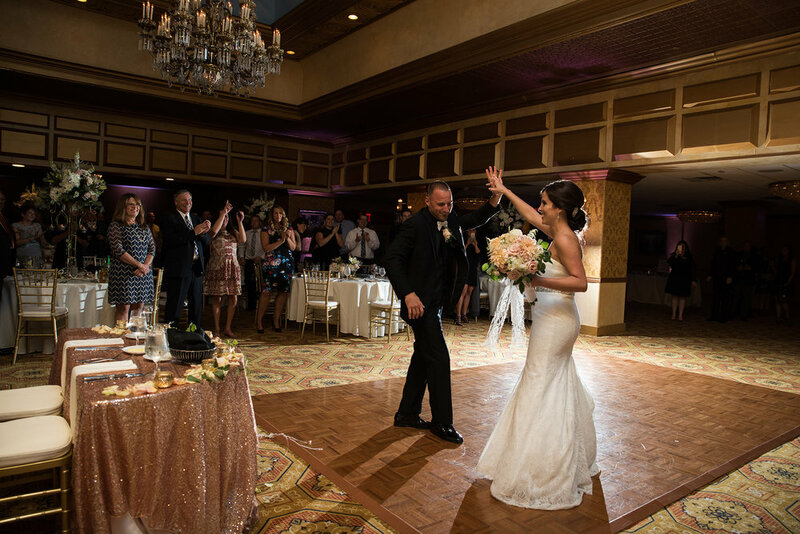 Lance and Valerie celebrated their wedding at the Claridge Hotel in Atlantic City, NJ. The Claridge Hotel is the most famous and grandest hotel in Atlantic City, NJ. 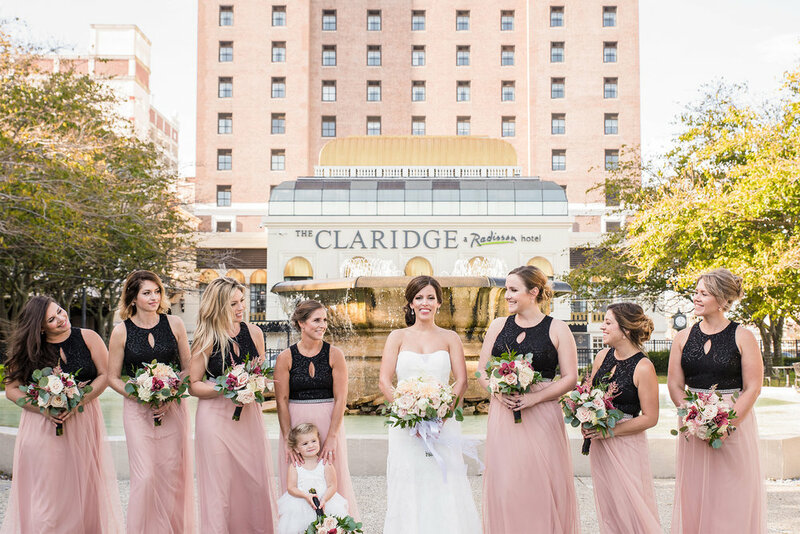 The Claridge offers various beautiful spots for wedding pictures including the bridal suite, the bridal preparation suite, the Grand Ballroom, The Main Ballroom, Brighton Park and the Atlantic City Boardwalk. I love this story! Lance had a simple, yet perfect plan. He picked up the ring as well as champagne and had Valerie meet him in their garage. When Valerie stepped in, she noticed Lance grinning and pointing at a small box. He didn't even ask her to marry him! He was SO excited that he just smiled and pointed to the ring. Lance and Valerie had their first look in Brighton Park right out side of the Claridge Hotel in Atlantic City. The Claridge had the park blocked off with security so that they would be uninterrupted. 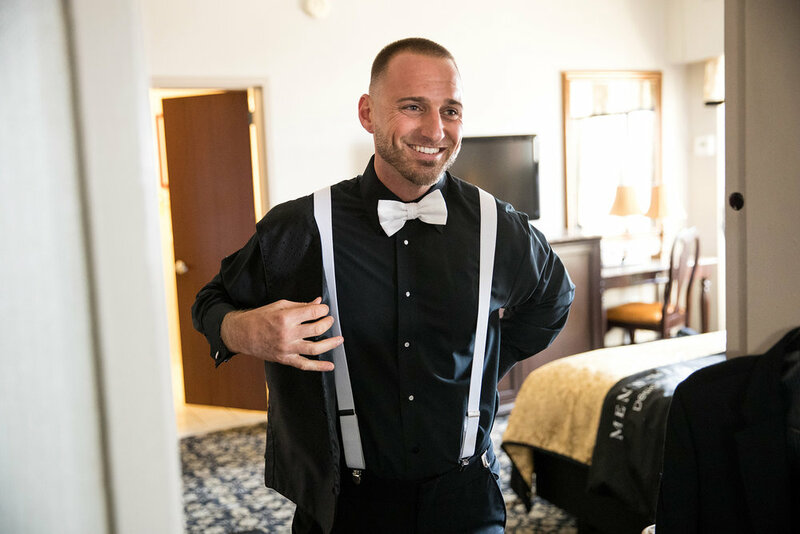 His expression was priceless when he saw his bride for the first time. I imagine this was the look on his face when he was pointing to the ring box with excitement. Oh my. The Grand Ballroom is one of the nicest reception halls I've shot in. It has a beautiful painted sky on the ceiling, and offers enough room for the DJ to provide the "dancing on clouds" look. The "dancing on clouds" as well as the painted sky above paired together make for a magical first dance. I strongly recommend this for your wedding. I loved the various locations where we were able to shoot including the bridal preparation suite!